Studies have shown that the creative arts significantly improve patients’ overall health, resulting in a more holistic treatment of the mind, body, and spirit. This has inspired the incorporation of arts in medicine programs into hospitals across the country, with the University of Florida’s Shands Hospital being internationally recognized as one of the leaders in the field of arts in health care. 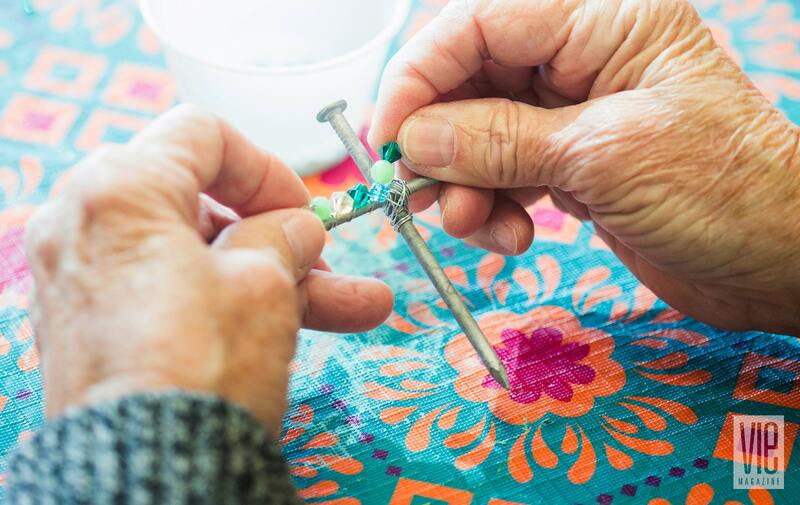 Their Arts in Medicine program integrates numerous expressive therapies such as visual arts, music, writing, and performing arts into traditional health-care practices to enhance the patient experience. Sacred Heart Hospital on the Emerald Coast, which is located in Miramar Beach, Florida, and one of the area’s leading health-care facilities, adopted the program and received funding not only from the University of Florida’s Center for Arts in Medicine but also the State of Florida Department of Cultural Affairs and the National Endowment for the Arts. The Arts in Medicine (AIM) program allows local artists and musicians to volunteer their time and talents to provide patients with some form of expressive therapy. Visual arts activities and musical performances are offered to patients in the Intensive and Progressive Care Units and the Family Birth Place. Those who wish to participate in AIM activities are provided with a session that lasts fifteen to twenty minutes, though it sometimes runs longer. Visual artists either have a planned project and materials laid out for participants or allow the patient to choose a subject and medium and then assist as needed. 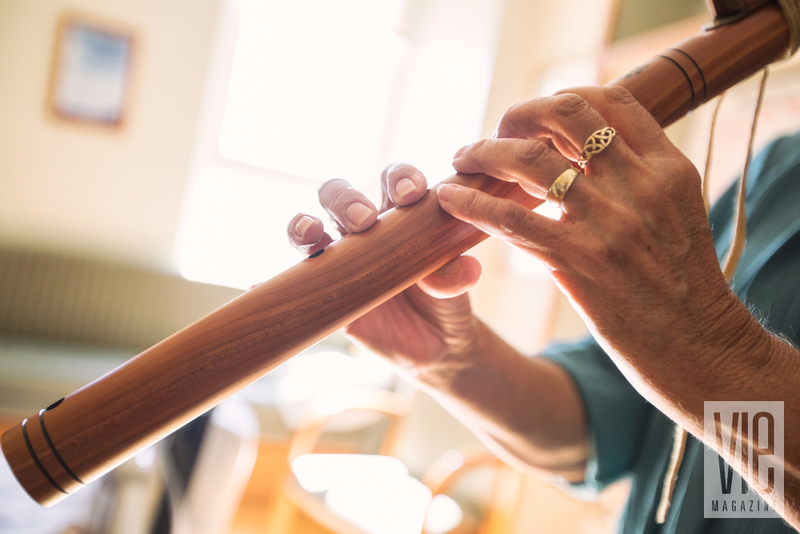 Musicians perform a short vocal and/or instrumental piece for patients and are occasionally set up in the hospital atrium for staff and visitors to enjoy as well. The programs are not limited to inpatients. 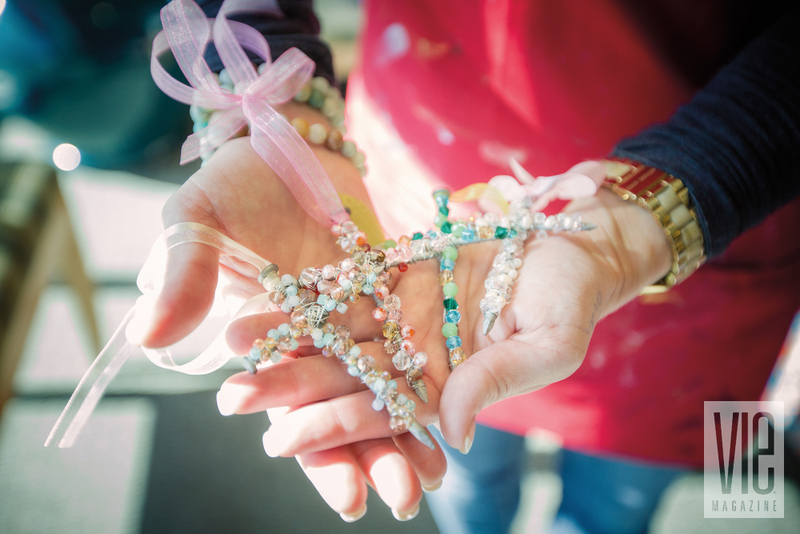 Patients coming in for both outpatient and scheduled procedures, their friends and family members, and even hospital visitors and staff are encouraged to participate in the Arts in Medicine activities offered at Sacred Heart. Robin Horne, a classically trained silver flutist, is one such volunteer who shares her musical talents with patients and staff. Horne graciously allowed me to sit in on her rounds at Sacred Heart one morning. She played principal flute for twenty-six years with the Northwest Florida Symphony Orchestra and eight years with Sinfonia Gulf Coast, where, through their partnership with AIM, she first heard of the program at Sacred Heart. Horne has been playing with various other groups for a year and a half now, along with her monthly performances at the hospital, and providing private instruction. She describes her experience with Sacred Heart’s AIM program as “more than gratifying—it’s something deeper than that.” Methodically reflecting on some of her favorite moments, she commented, “You get a different experience every time. Sometimes I’ll be playing and I look up and they’ll be crying. I love it when they close their eyes—you can tell they’re feeling relaxed by the music in that moment.” Horne has also played for terminally ill patients. “You never know if it’s going to be the last music they’ll hear ... it’s a bigger deal,” she explains. You never know if it’s going to be the last music they’ll hear ... it’s a bigger deal. 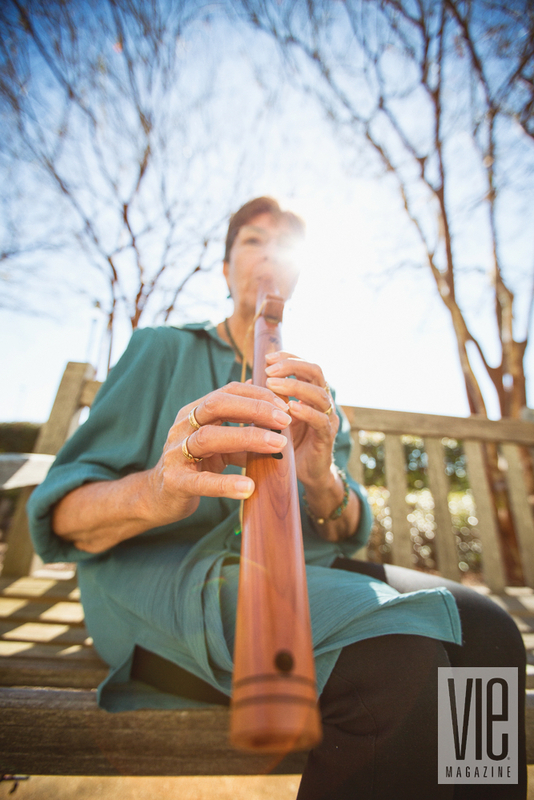 Horne’s instrument of choice at Sacred Heart is a Native American cedar wood flute she purchased at Musical Echoes. (Musical Echoes is an annual Native American art and flute festival held in Fort Walton Beach, Florida; Horne assisted in launching the event and she has also served as a vice president of the board.) She admits there was a trial-and-error period while deciding on the appropriate flute for the environment at Sacred Heart when she began. She first brought in her silver flute but soon discovered that the tone was just a bit too harsh, owing to the acoustics of the building, and replaced it with a cedar wood flute, which produced a much mellower and more soothing tone. When choosing what pieces to play in patient rooms, Horne tends to play what she feels at that moment so that each patient receives a unique song and experience. These are just a few of the many expressions of gratitude Horne received during her morning. From the visual artist’s perspective, Amy Fogg has been volunteering with Sacred Heart’s AIM program for the last four years. Fogg first read about AIM in a local magazine after moving to the area to focus on her own artwork. She states, “I remember sitting there reading about this wonderful opportunity that seemed like the perfect start and I just felt called to do it.” Fogg’s interest in the therapeutic aspect of art, combined with her background as an art educator, led her to find her niche in the program working with the hospital staff, dubbing her arts and crafts projects as “Art with Amy.” This new addition opened up a firsthand experience of the AIM program to Sacred Heart employees. 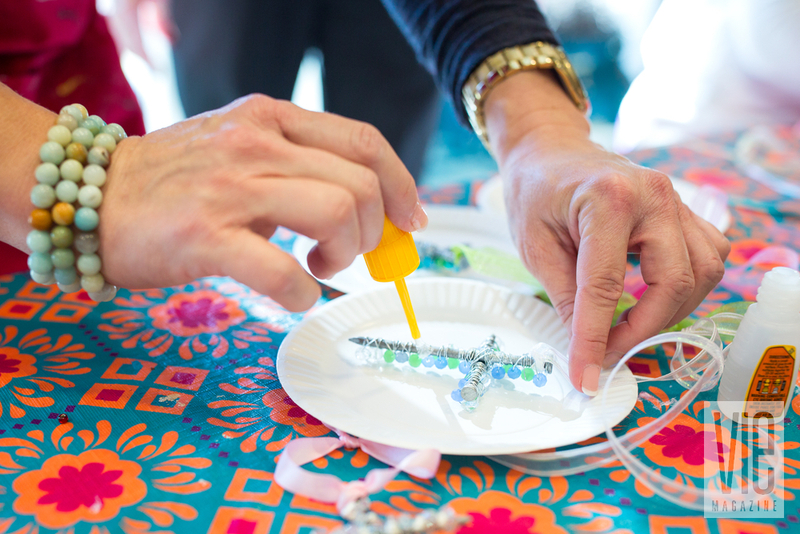 Patients make decorative crosses during one of Amy Fogg’s “Art with Amy” sessions at Sacred Heart in December of 2016. I always get a good turnout. They find it relaxing and something to look forward to. The Arts in Medicine programs are not designed specifically for professional artists; anyone of any skill level interested in the healing powers of expressive therapies can volunteer and make a difference in the lives of patients, visitors, and staff. Those who wish to become involved in the Arts in Medicine program at Sacred Heart Hospital on the Emerald Coast may contact Volunteer Services at (850) 278-3081.